Poland surprised me when it came to food. 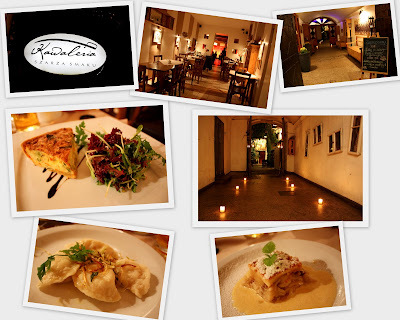 I hardly knew anything about the Polish dining scene and assumed that people only ate potatoes, soup and meat there. 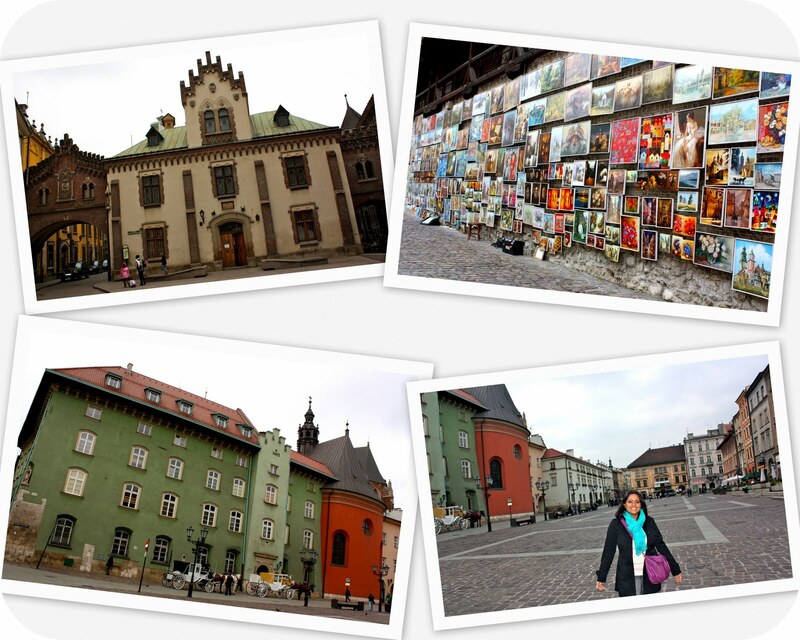 So it was very reassuring when I found that Krakow and Warsaw had so many different options to choose from. 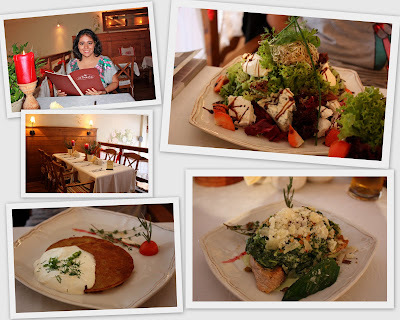 Not just that, but they had so many interesting dishes for vegetarians! 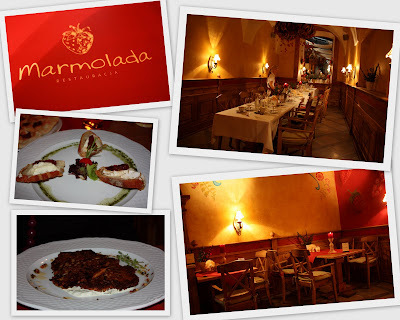 Every restaurant had a unique theme, each with a very personalized decor and ambience. Oh, it made it so hard to choose a place to eat at! See how romantic this restaurant is! We tried one of the local specialties called pierogi, dumplings filled with potato. We also headed to Colorspot, a cozy little restaurant in Krakow. 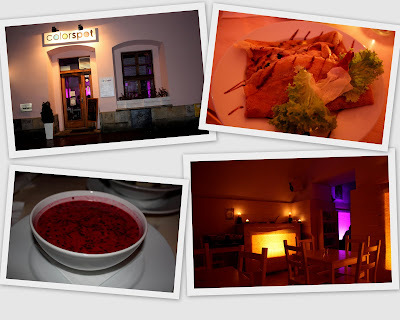 What attracted me to this restaurant was of course the mysterious colors! Food was good too. We also found that beetroot soup featured on many of the menus, so gave that a shot too. 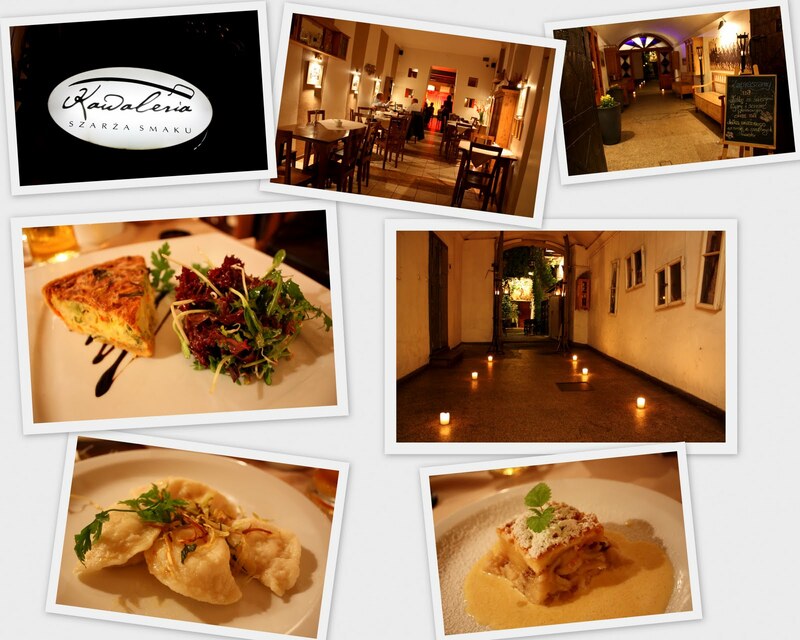 My favorite restaurant in Poland is right below! Lovely ambience and wonderful food! We ate there twice! 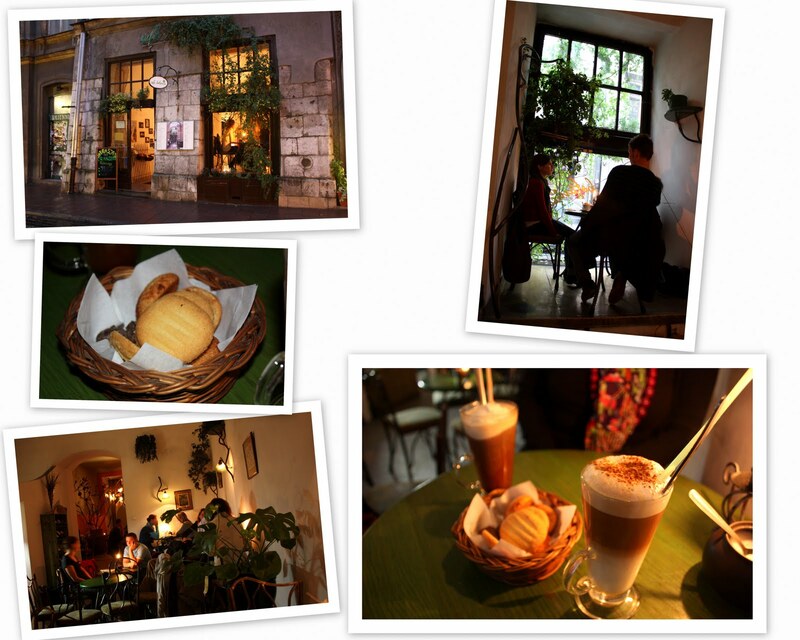 On a rainy afternoon, we hung out at this cafe and had some biscuits, ice cream and hot chocolate. So good!!! Same group as the Marmolada restaurant, the food was delicious! 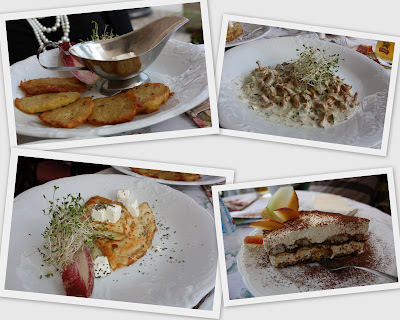 In Warsaw, there was a little less variety but still, the food was great! 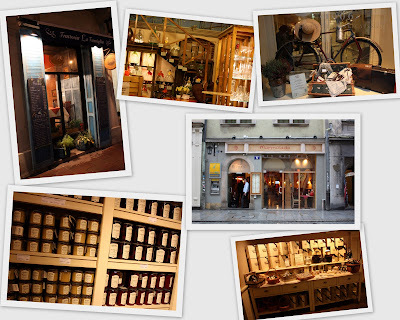 Check out these lovely restaurant and food store decor! Along with Copenhagen, Krakow actually had some of the best vegetarian food I have ever had in Europe! 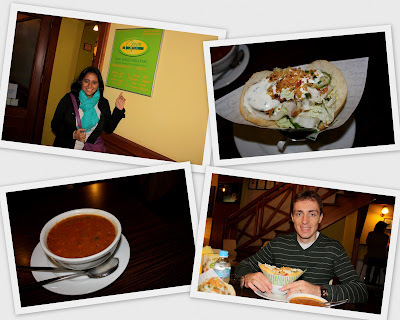 A great surprise for me and I wish I could go back just to have more of their food! 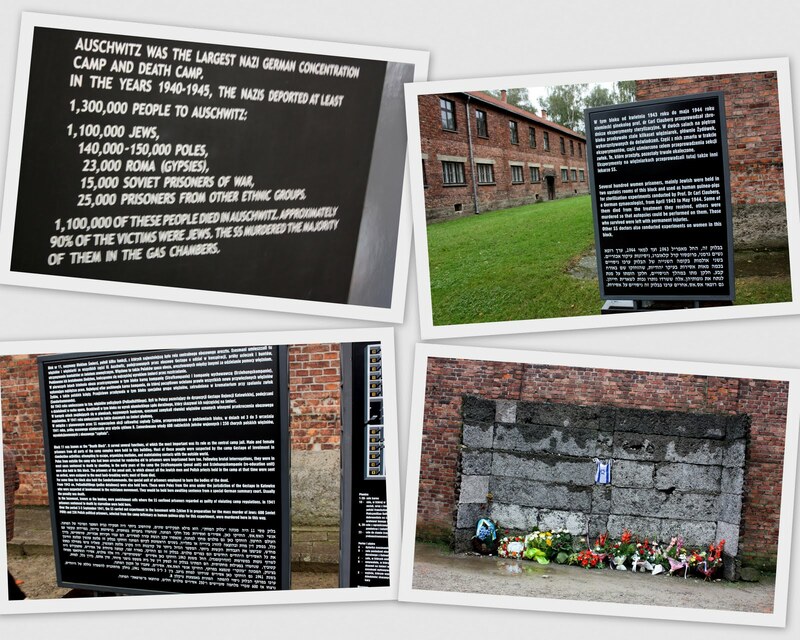 Poland suffered the biggest losses during the Nazi occupation. 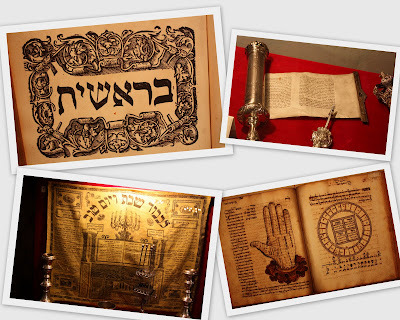 The country had the largest Jewish population in Europe and along with the Jews, a large number of prisoners of war, clergy, homosexuals, gypsies and political and religious opponents were killed. One of Adolf Hitler's goal was to ensure a complete destruction of all Poles and about 6 million Poles died during this dreadful period. 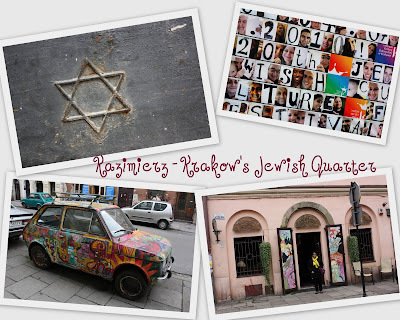 Today, there are very few Jewish families living in Krakow and most live in the Kazimierz district, which is known as the Jewish Quarter. In Kazimierz, there are synagogues as well as Jewish style architecture with buildings that have signs in Hebrew. 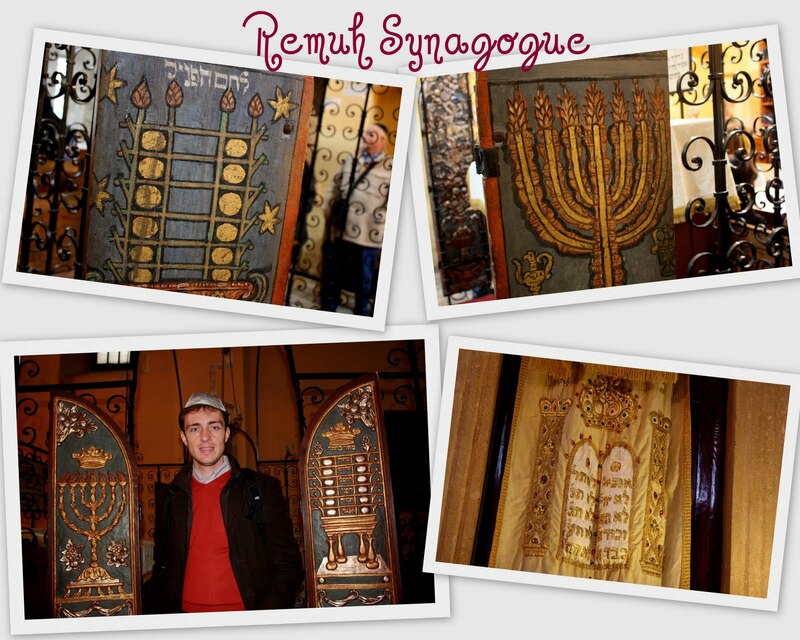 We visited the Remuh Synagogue as well as the cemetery next to it. The synagogue had very beautiful interior decorations and lots of explanations of Judaism. We walked around the cemetery and noticed that many little stones had been placed on the tombs. 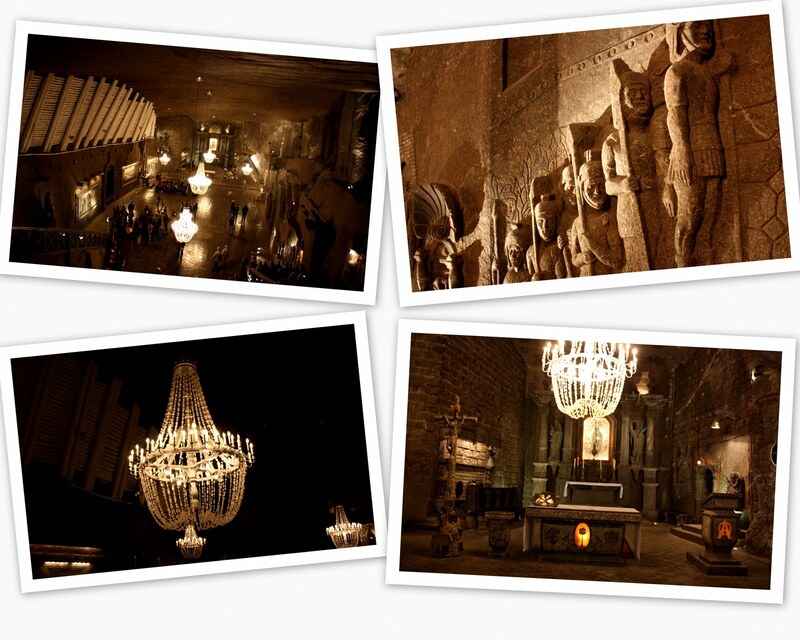 This apparently shows the number of visitors for each tomb. 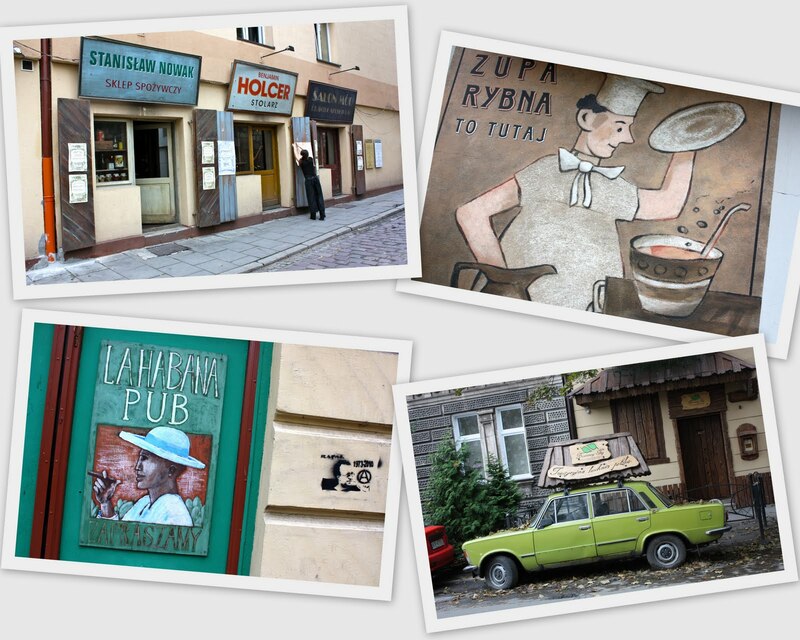 Walking along the streets of Kazimierz was very interesting as many buildings are old and had interesting signs or paintings on them. 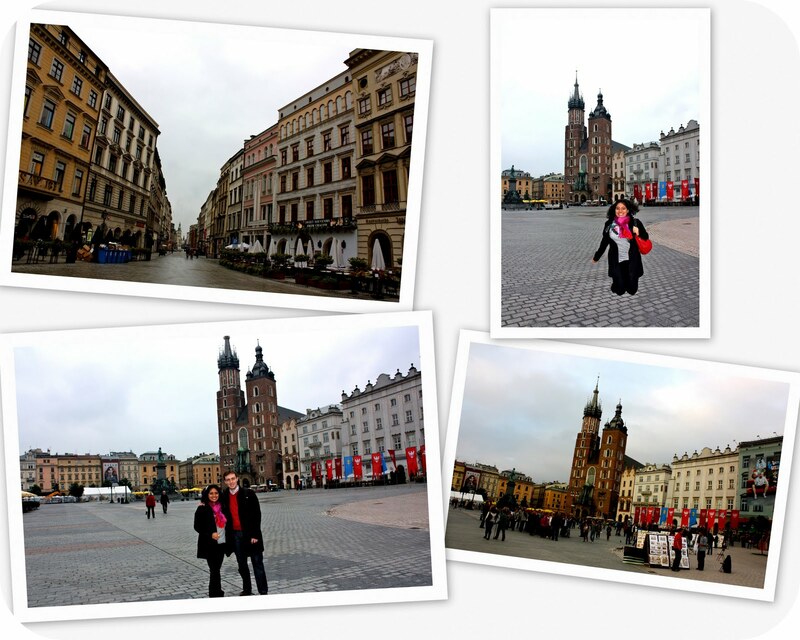 Somehow I felt that it was much quieter and somber as compared to the ambience in the Old Town. We then went to Schindler's Factory which is now a very well designed museum. 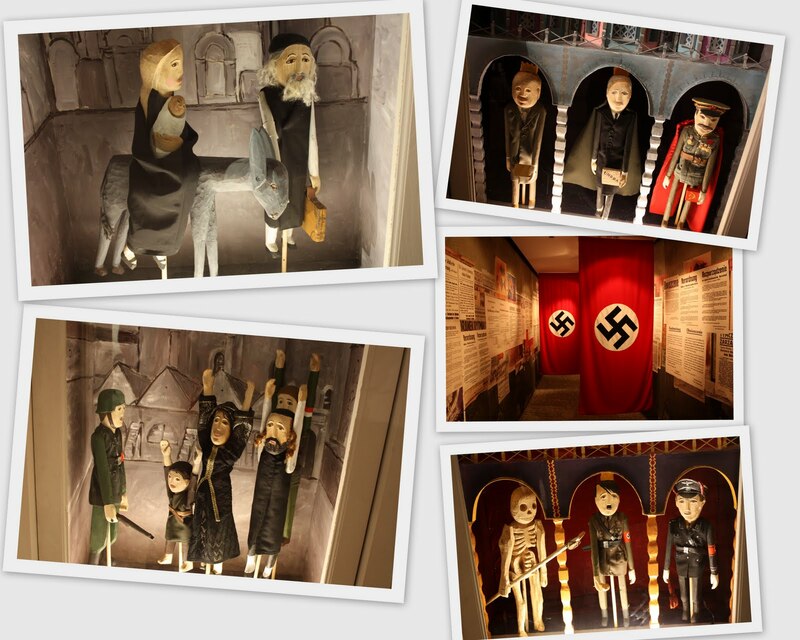 This museum has bold images, statues, and artifacts that show visitors the life in Poland during the Nazi occupation. 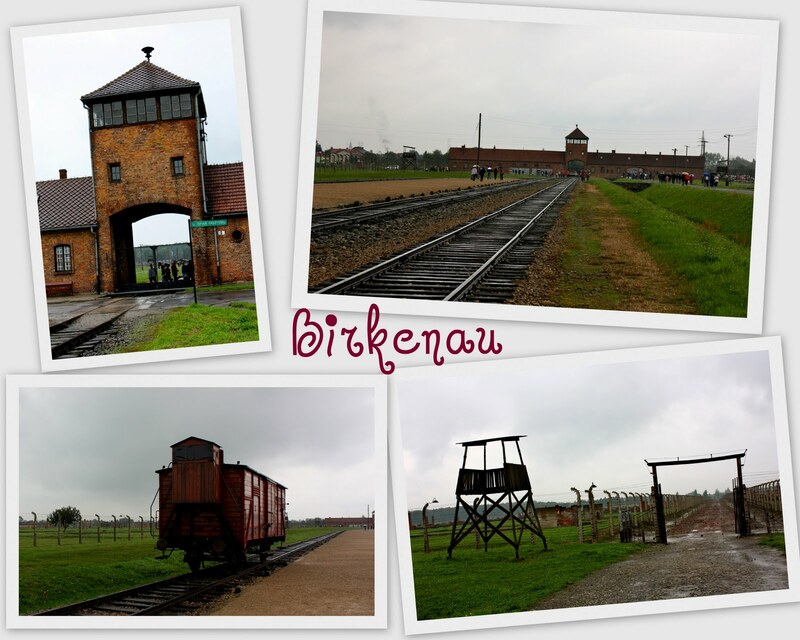 Finally, no visit to Poland is complete without visiting the notorious concentration camps in Auschwitz and Birkenau. 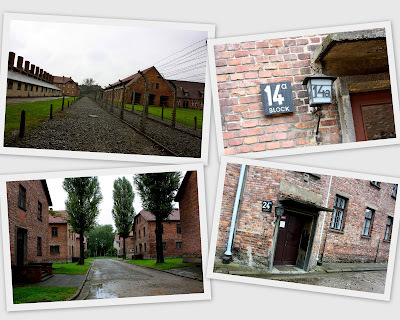 We took a train to Auschwitz and once there, we had to join an English speaking group for a guided tour of the premises. We were taken to the blocks of buildings where the Nazi victims were forced to stay without proper food or water. Many people were simply crammed into small spaces and this caused the fast spread of diseases which resulted in the death of many of them. Males were separated from females, which meant husbands no longer saw their wives, fathers never saw their children, and grandparents could not be with their families anymore. Not knowing what they were about to face, this parting was very unbearable for many and no one knew if they would see their families or friends ever again. 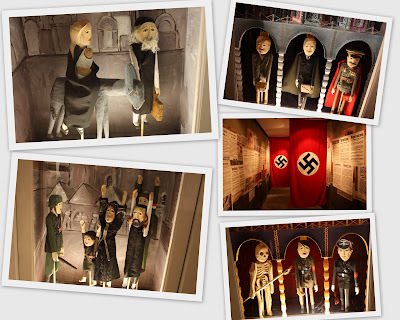 The Nazis wanted to get rid of those whom they thought would be useless to them and this meant the sick, elderly and young children. Many were gassed to death immediately upon arrival at the camps and children were often led to believe that they would be going for a shower when in fact they were about to be killed. Many life threatening or permanently damaging medical experiments were conducted on women by evil and selfish Nazi doctors. Men were forced into hard labor. Anyone who tried to escape was immediately shot to death. 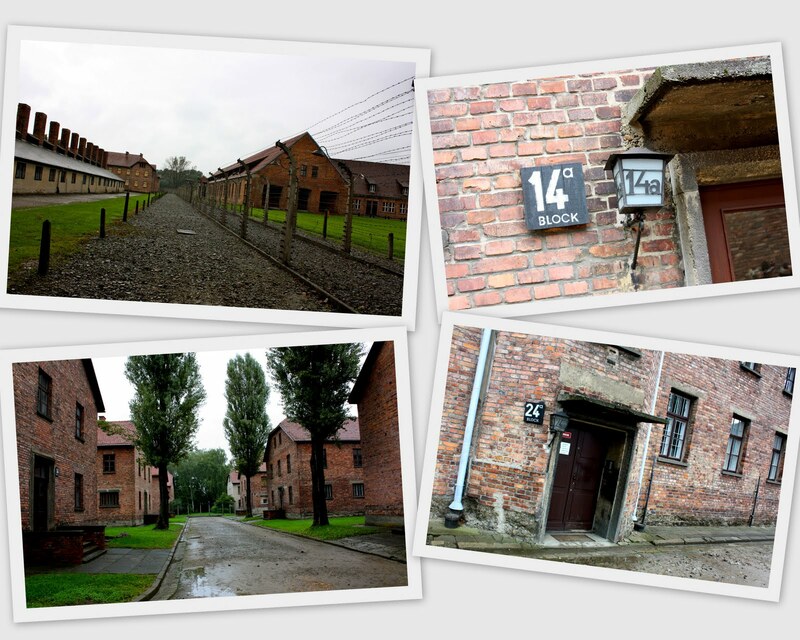 Of the million victims who were in the concentration camps, only 142 managed to escape. So you can imagine just how strict the Nazi security was. In some of the buildings, there are collections of the victims' personal belongings such as spectacles, tins, hair brushes, combs and shoes. 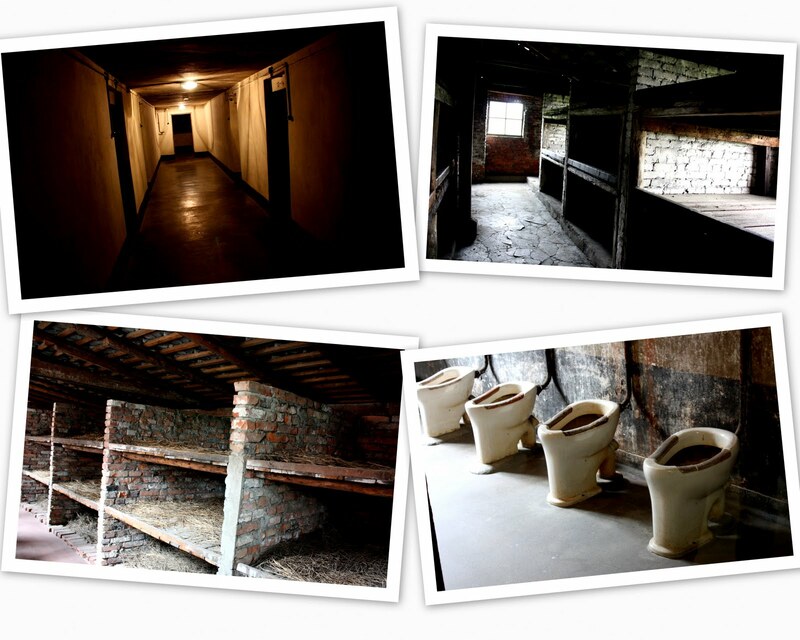 In one room, there was a massive collection of human hair, which was shaved off the victims' head. It was really sad to see this and no photography is allowed in this area. Here, you can see the hard beds the victims were forced to sleep on. Often, there were hundreds crammed into these areas, therefore making it very difficult to breathe and causing the spread of diseases. We got to Birkenau which was the larger of the two concentration camps. 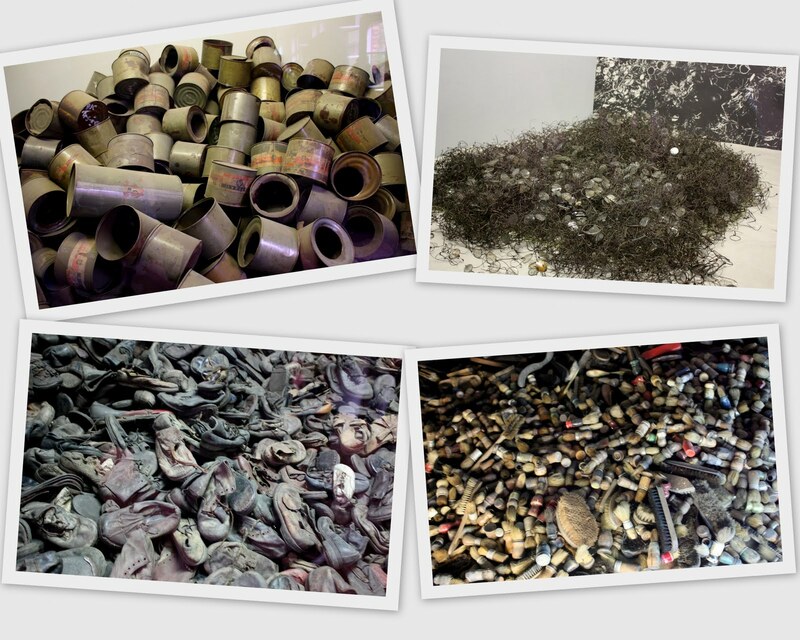 Here is where mass killings occurred in the gas chambers. You can see how vast this area is and those arriving here knew they were doomed. 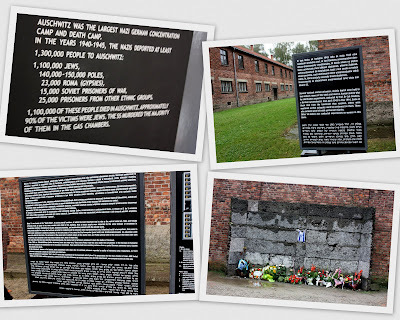 The poor victims had to endure the terribly cold weather in addition to the cruel treatment by the Nazis. 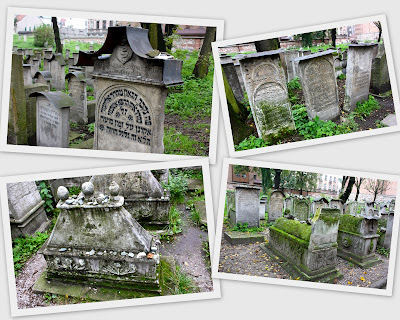 This post showed Poland's dark history, but one that should not be forgotten. 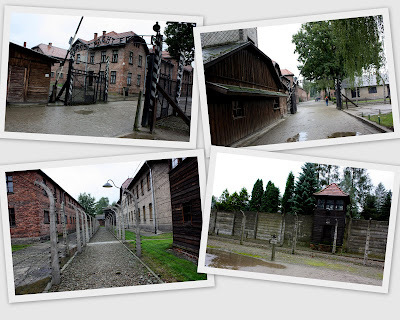 It is an essential part of any visit to Poland and we should remind ourselves how privileged we are to be living in safe places. Unfortunately, war is still prevalent in many countries and along with it are the incessant killings of innocent people. Won't people ever learn from past mistakes? Next up, my yummy dining experiences in Poland! 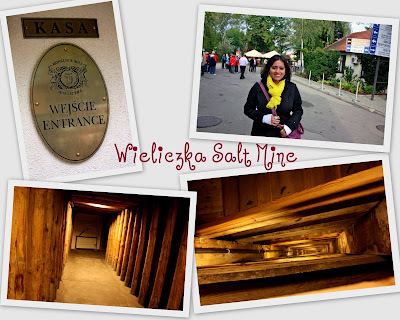 Before we went to Poland, a Polish friend highly recommended that we visit the Wieliczka Salt Mine, which is 17 km from Krakow. 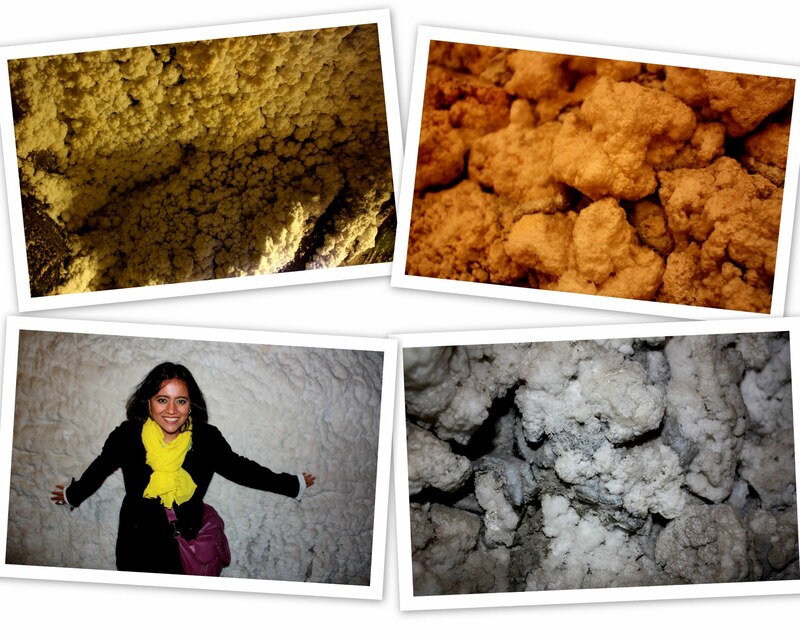 This salt mine is one of the world's oldest operating salt mines. 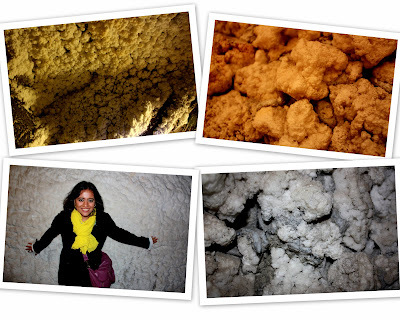 This historical site is listed as one of Unesco's Cultural and Natural Heritage sites and salt production started in the Middle Ages and has not stopped since. 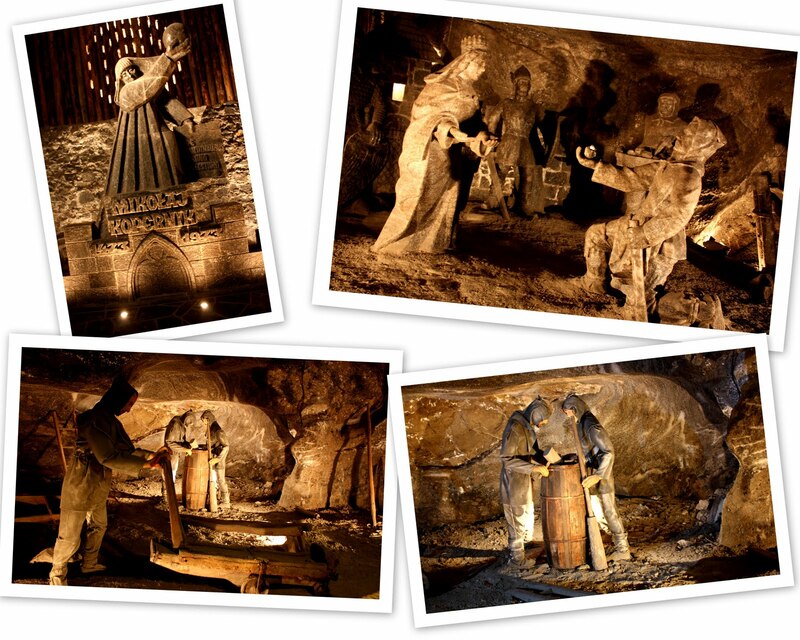 It was considered a privilege to work in the salt mines and over time, many sculptures were made purely out of salt. In fact, there is a whole chapel in the mine that is made out of salt! There are apparently around 200 km of passages and tourists start their salty adventure 64 metres deep and end their journey 135 metres below sea level! The Nazi occupation of Poland did not stop the workers from mining salt and it continued till today. 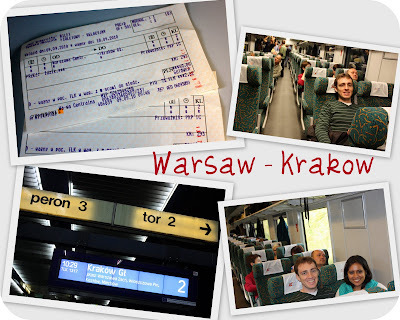 We took a bus from Krakow and the ride took about 30 minutes. Be sure to get there early because it can get quickly crowded. 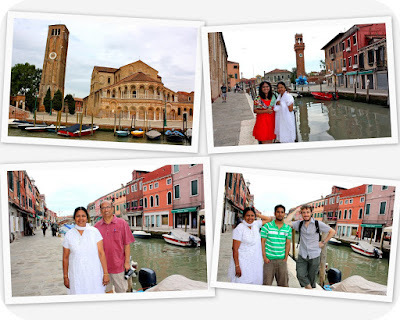 There are group tours in different languages conducted by professional guides who are very smartly dressed. Our guide was a young Polish lady who very nicely explained the history of the mine and escorted us all the way through! Here's the entrance of the mine. Check out the flights of stairs we had to take to go down! Check out all this salt! I loved these beautiful salt statues! 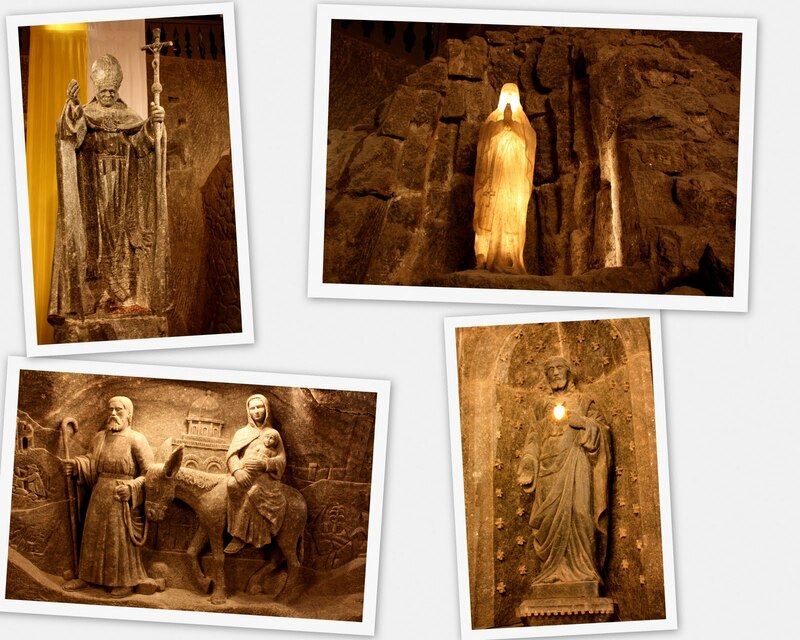 What a beautiful salt chapel! Even the chandeliers are made out of salt! Poland has been one of the countries I wanted to visit for a long time and a few months back, I was finally able to make a trip there. 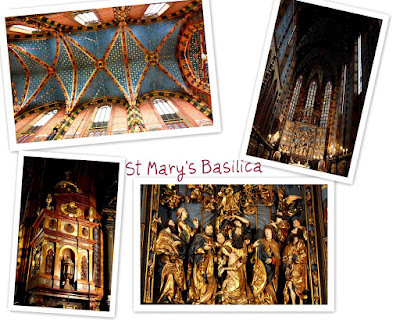 Poland is not the typical relax and feel good type destination mainly because of its history. 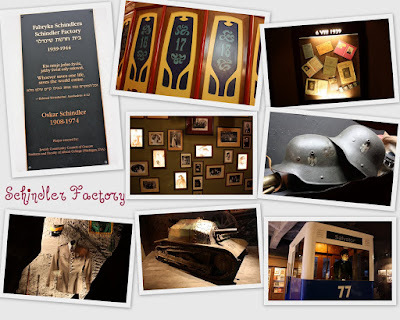 The country was greatly affected by the Nazi occupation and suffered many losses. 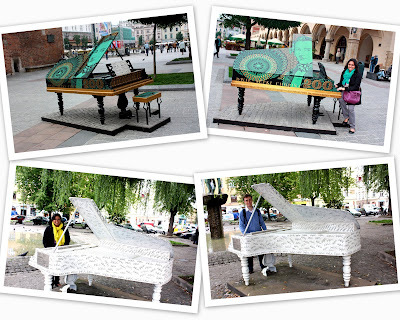 Poland also has a history of communism and has produced great religious leaders such as Pope John Paul II and renowned musicians such as Frederick Chopin. 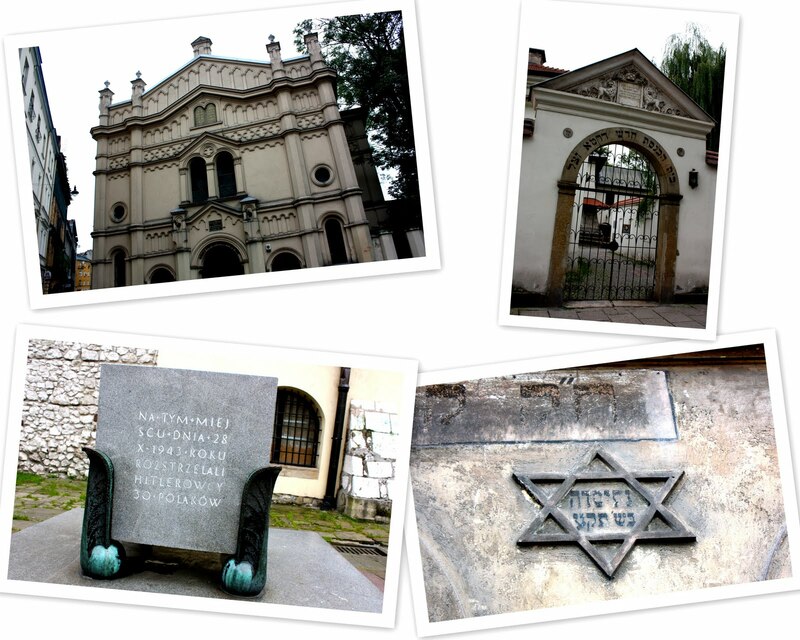 During my history classes in high school, I was drawn into Poland's unique history and culture and am glad I got to get a glimpse of it! 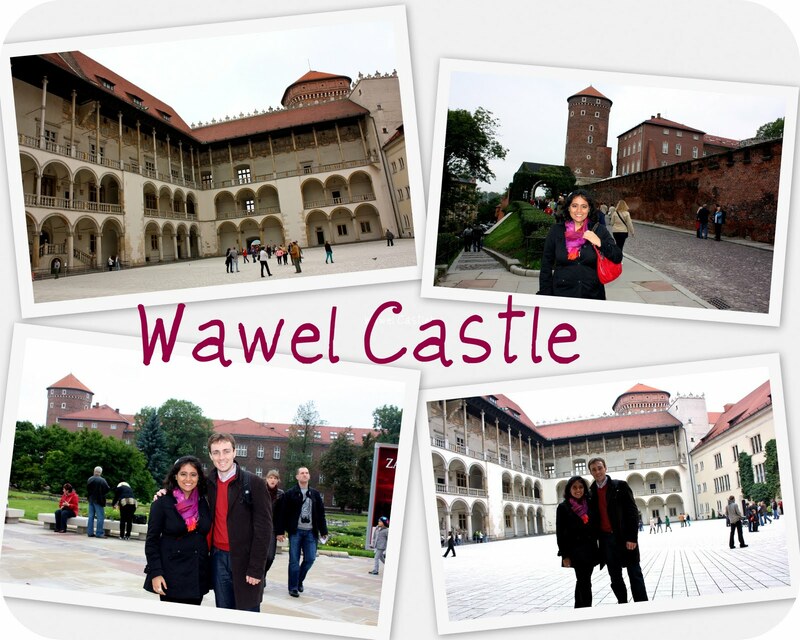 We flew into Warsaw with Poland's national airline, LOT, which provided good service. 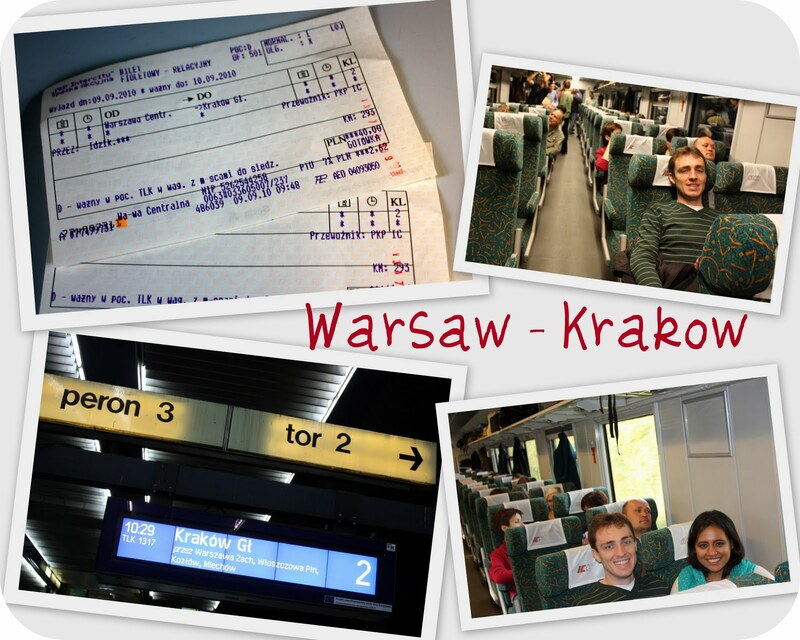 We spent the night in Warsaw to sleep and left for Krakow by train early next morning. The journey lasted about 3 hours and was very comfortable. Upon our arrival in Poland's historical city, we made our way to our rented studio. 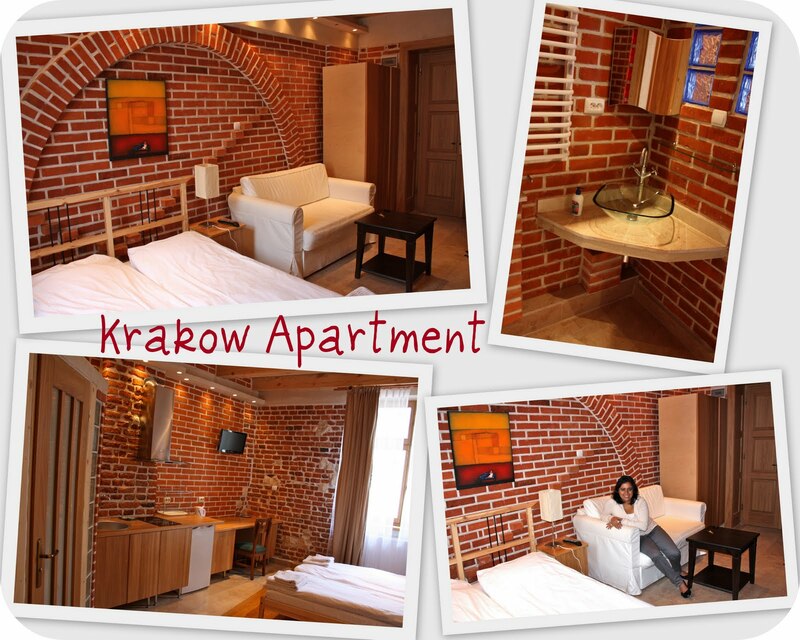 Perfectly located in the heart of the old town and close to the Rynek Główny, this studio is probably the nicest one I have stayed in. So tastefully decorated as you can see for yourself! 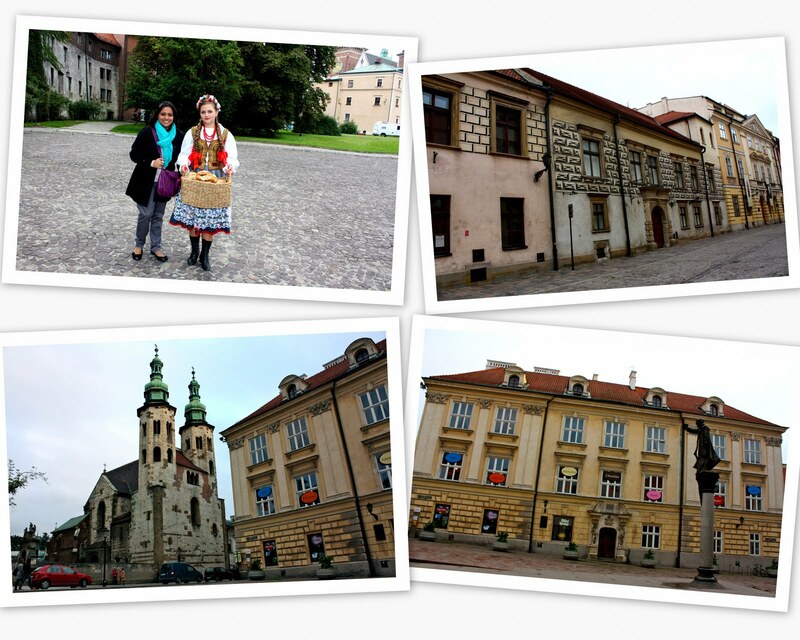 After checking in, we immediately set out to explore the old town. 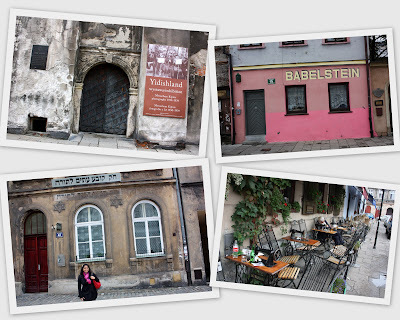 Most of the main sites are in the old town and the best way to explore these is just by walking around the cobble-stoned streets. I loved the architecture of the buildings and was very amused by this statue! We roamed around the old town and couldn't stop taking photos as everything was just so pretty! It looked like the locals are very proud of Chopin's world renowned music and have pianos scattered around! I loved this wall full of colorful paintings by the talented locals! Anything traditional catches my eye and so I was thrilled to see this Polish lady in her traditional clothes! Such a rare sight in Europe these days! We went into St Mary's Basilica and the interiors were so beautifully decorated in bright colors. We then visited Krakow's most visited attraction, the Wawel Castle. Finally, the beautiful city by night. Looked truly magical! After this brief introduction to Krakow, I'll write about different aspects of the city in my upcoming posts! Keep reading! 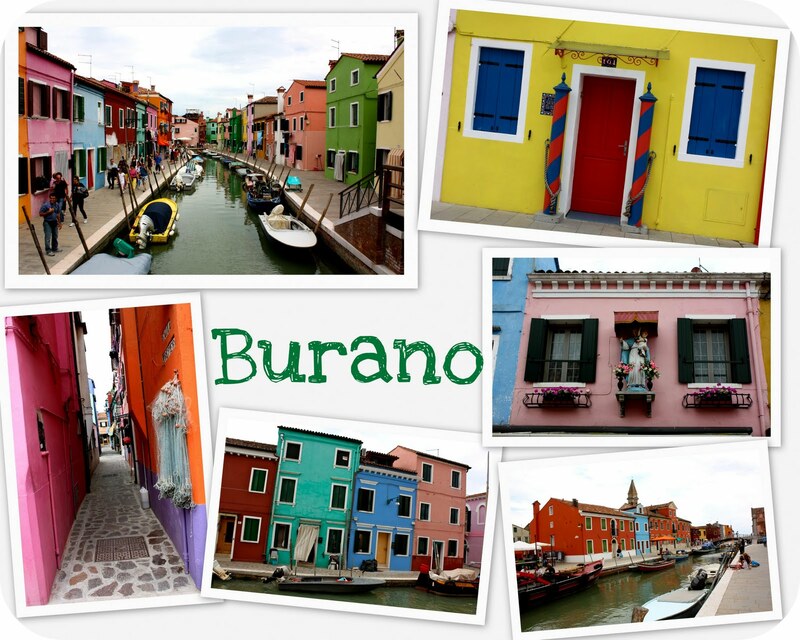 No trip to Venice is complete without exploring the islands of Murano and Burano. 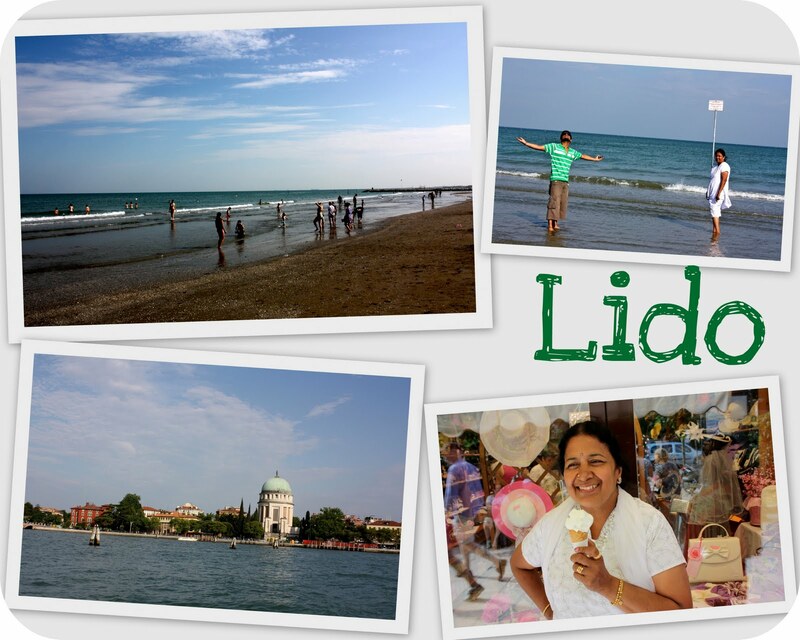 We dedicated a full day to exploring the northern lagoon and visited Murano, Burano, Torcello and Lido. 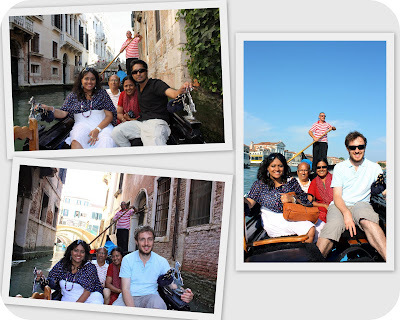 We bought full day tickets and boarded a vaperetto (water bus) with other excited tourists and some locals. blowing demonstration - truly amazing the way these people are so creative with glass! sunset. Our Venetian adventure had come to an end and I truly enjoyed every minute of it. Next up, our Polish encounter! 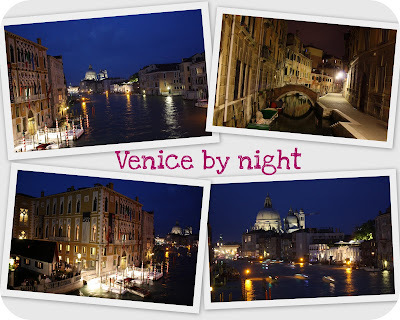 Venice has long been a destination I've wanted to set foot on simply because I'd heard so much about its beauty, romance and history. Everyone I know who's been there has come back gushing about this little city's magical charm. 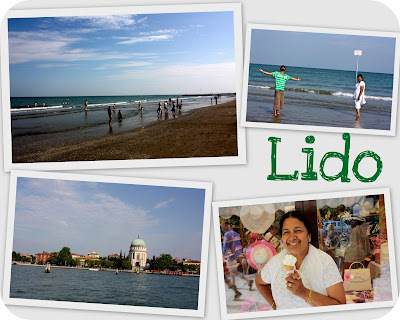 As we had a four day weekend in June, David and I thought that it would be the perfect opportunity to discover this sinking paradise. 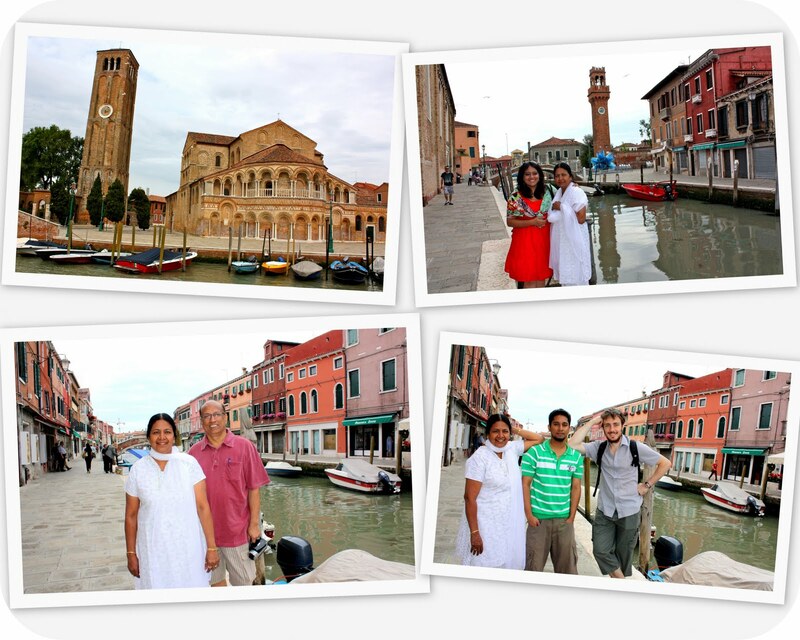 Coincidentally, my parents and brother also planned to be in Italy at the time and we decided to have a mini reunion in Venice. 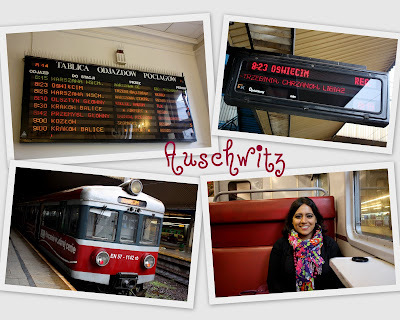 David and I took a direct train from Geneva's main station to Venice's Santa Lucia station. 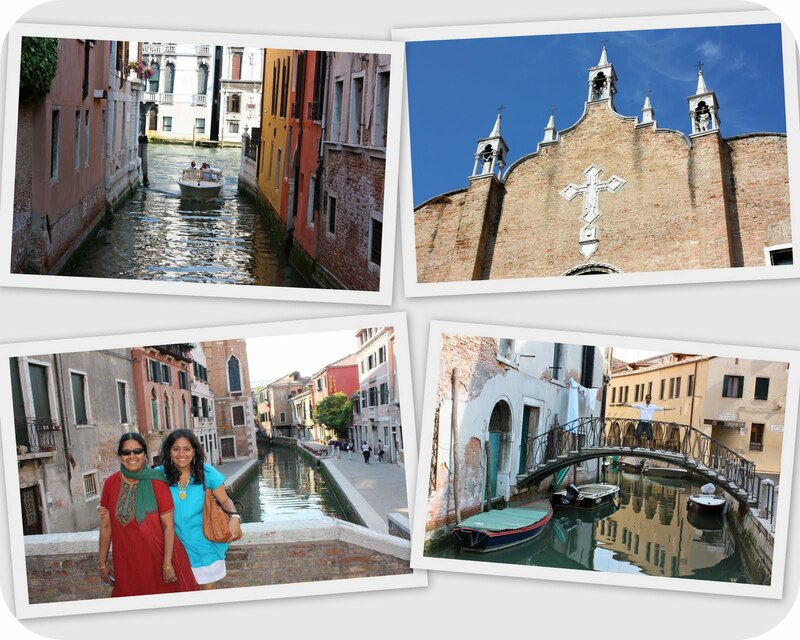 It was a 7 hour journey, but definitely a convenient way to get to Venice. 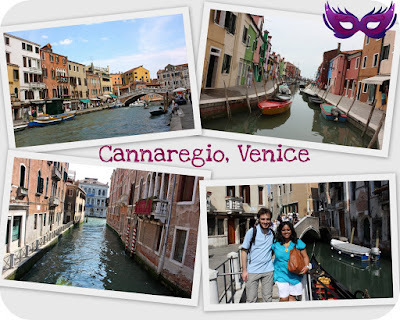 We met my family who had just arrived from Florence and made our way together to the apartment we had booked in the Cannaregio region. The apartment was very well located and had all the amenities needed to accommodate about 4-5 people. 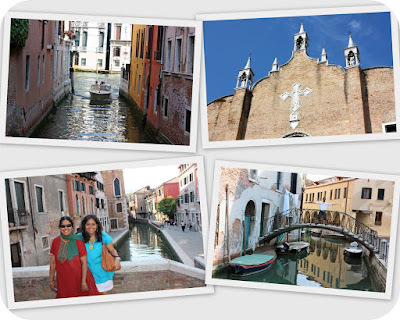 Once we refreshed ourselves, we set out to explore Venice. 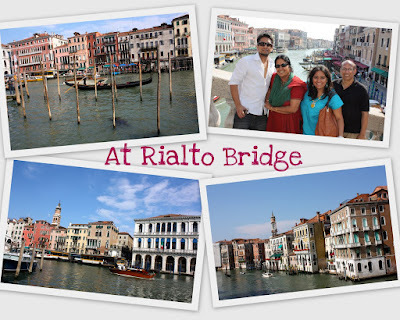 Unlike many popular tourist destinations in the world where there are actually sites and monuments to be visited, I felt Venice is more of a place you go to simply enjoy the ambience. Although the population is some 270,000 people, the majority of this is domestic and international tourists. Everywhere you turn, there is water, water and more water. The mainland of Venice is pedestrian so that was a welcome change from all the usual traffic we experience in our daily lives. 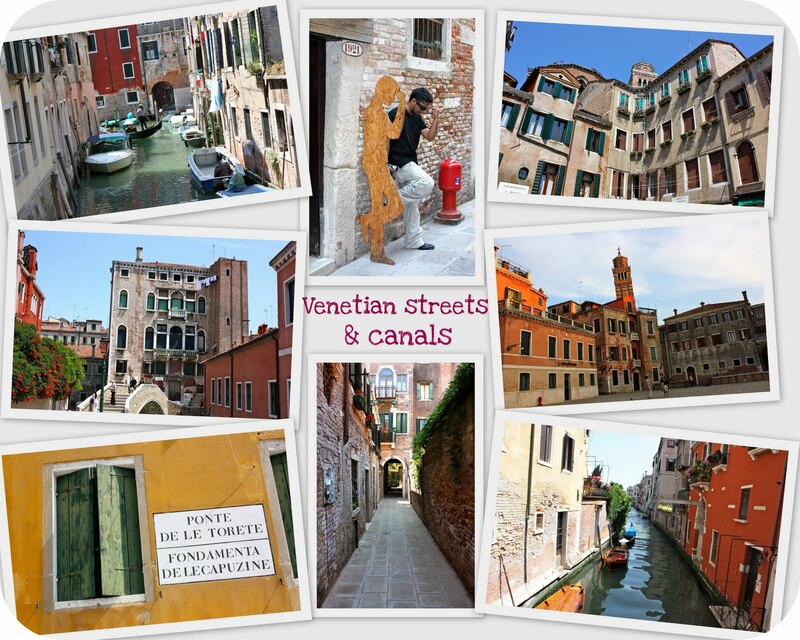 Beautiful canals make up the city's unique layout, not to forget the little bridges connecting one street to another. 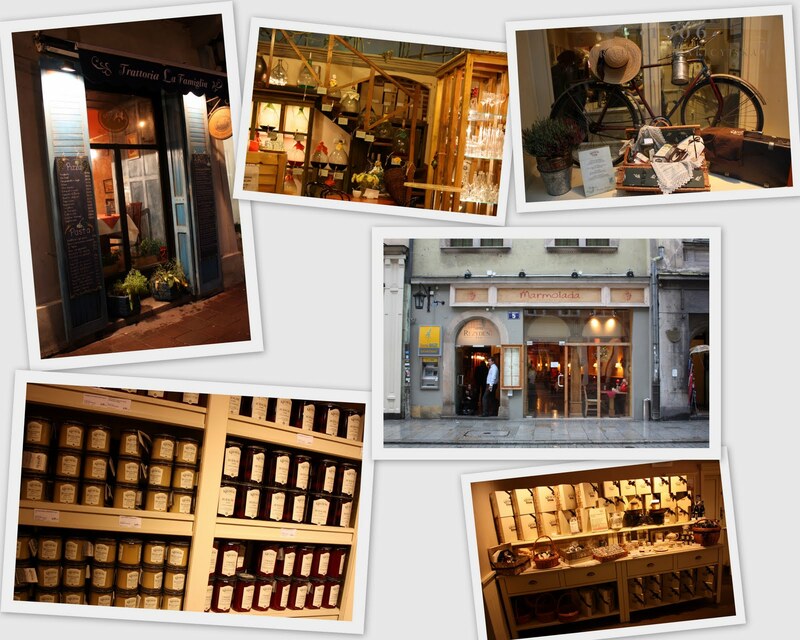 The city is full of life with markets, pretty houses, large squares, boats and of course the famous gondoliers. It is easy to get lost because of the city is laid out like a maze but there are always clear directions to the main areas. 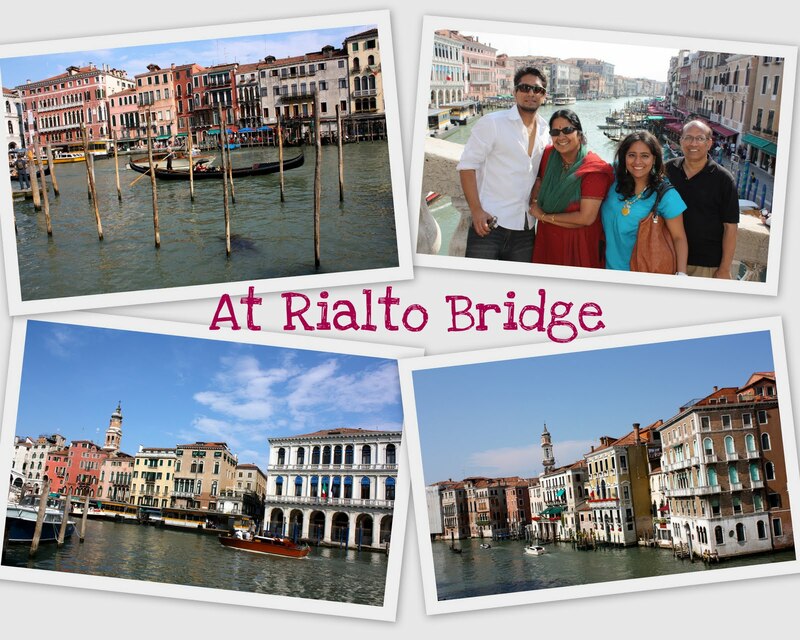 We first made our way to the famous Rialto Bridge. It was so crowded with excited tourists taking photo after photo, just like us. 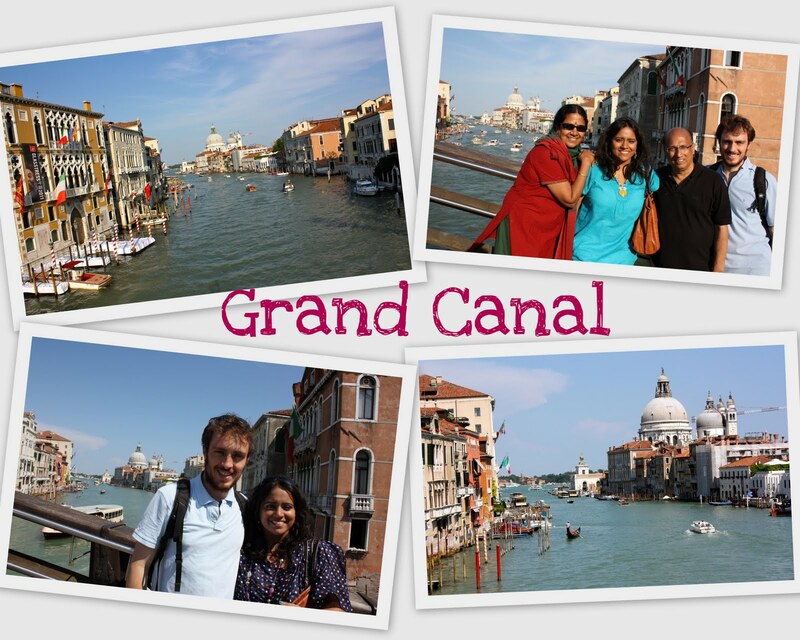 The Grand Canal was glorious in the sun's evening rays and was truly romantic. 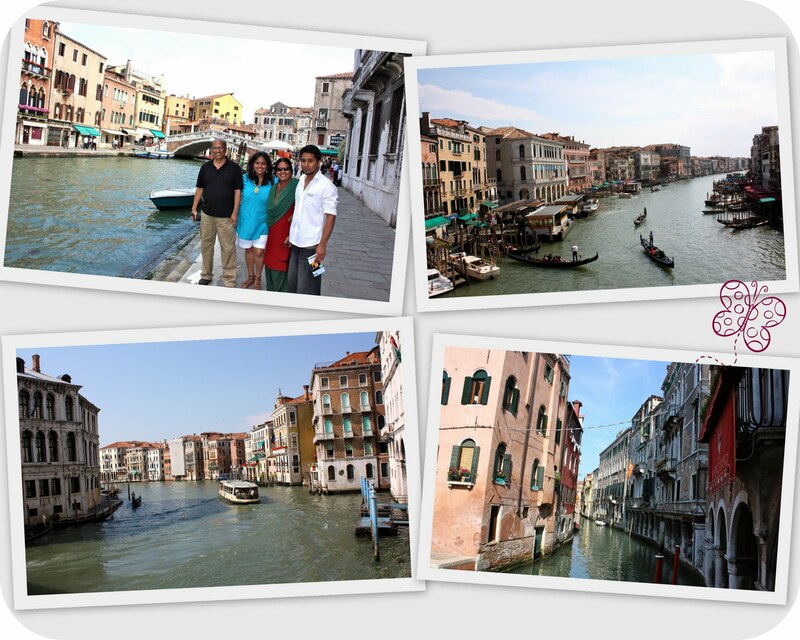 It's incredible how the whole city's life revolves around water! 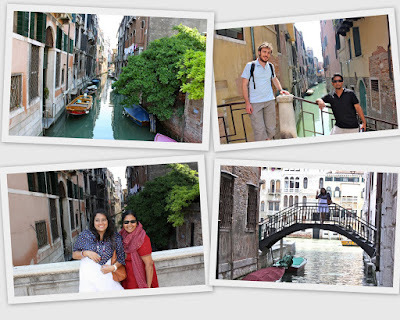 We walked through more narrow pathways, pausing to look at shops selling Venetian jewelry and masks and in true tourist style, posed for the camera. 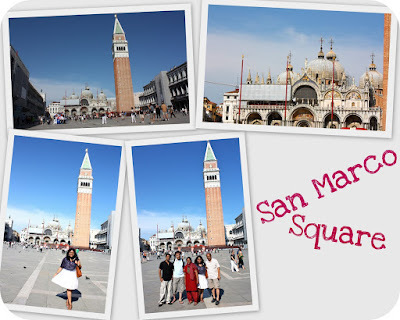 We then proceeded on to the vast San Marco Square where there's the beautiful San Marco Basilica and the Doges' Palace. 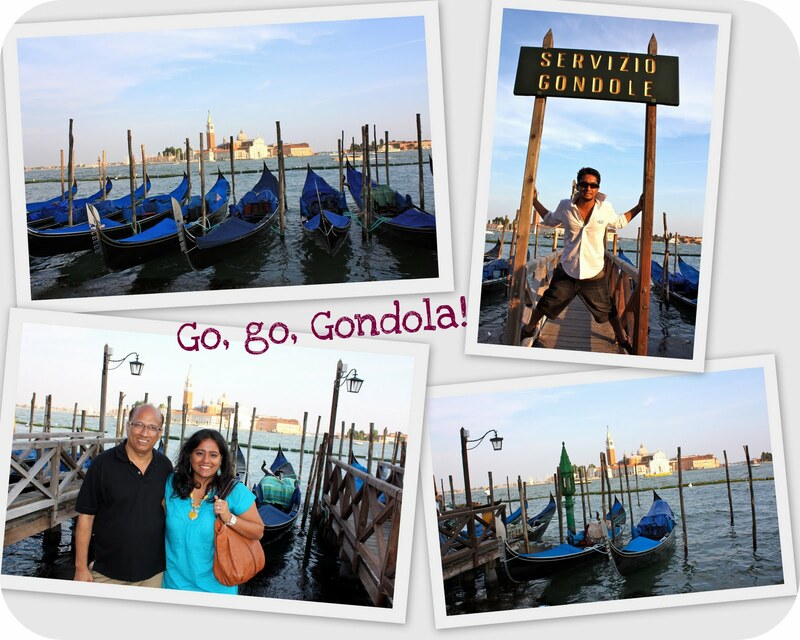 Of course, we could not go to Venice without experiencing a gondola ride. 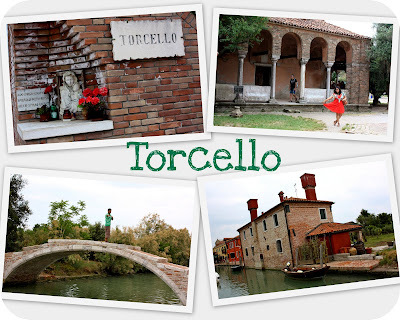 It is easy to spot a gondolier with his striped black and white t-shirt and hat. 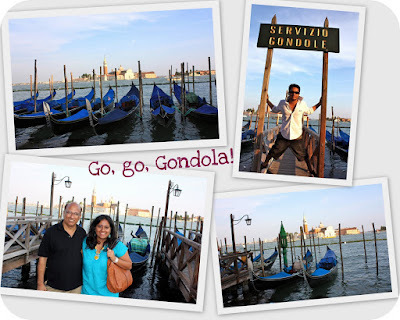 A gondola ride is very expensive for what it is but because it creates the image of romance, many tourists still fork out the money for this once in a lifetime experience. The gondoliers often quote a price and are open to bargain. We paid about 80 Euros for a 35 min tour of the canals. 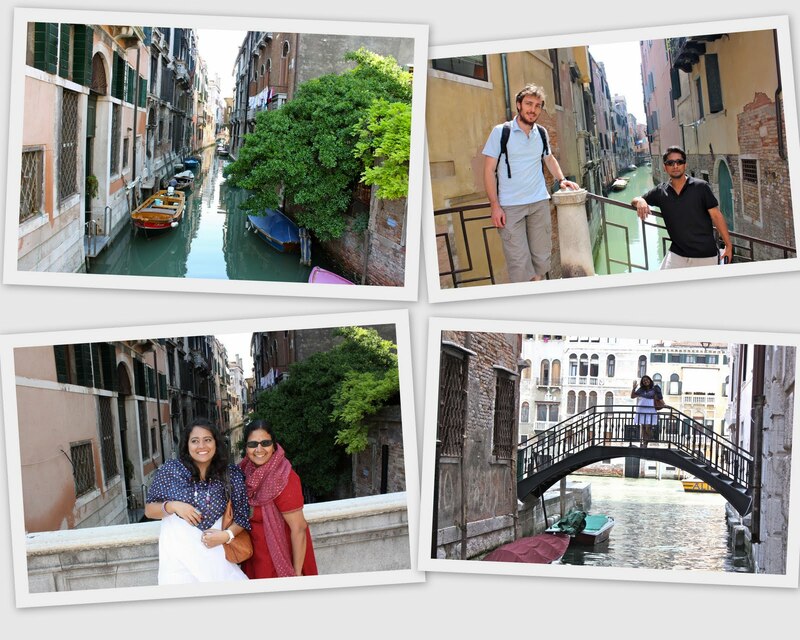 Again, we discovered more canals and bridges. 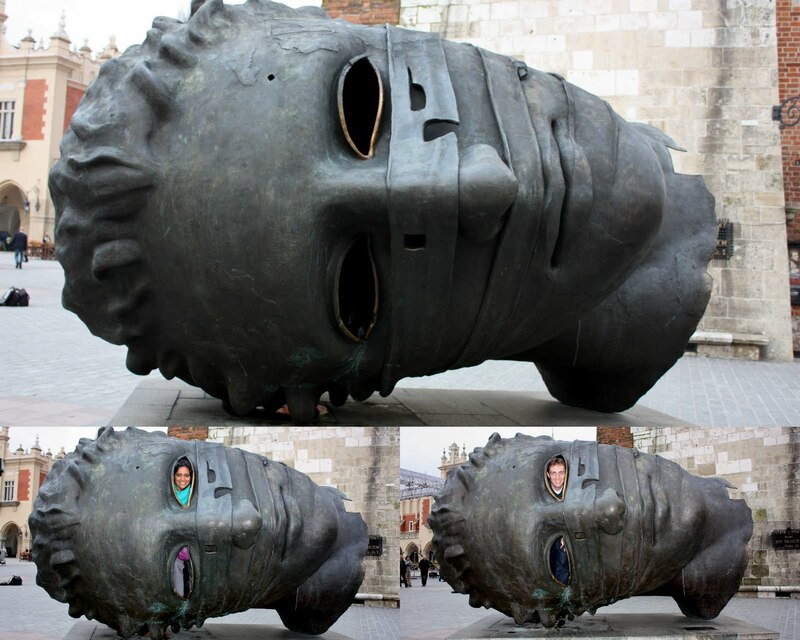 Truly fascinating, the way the city's been designed! 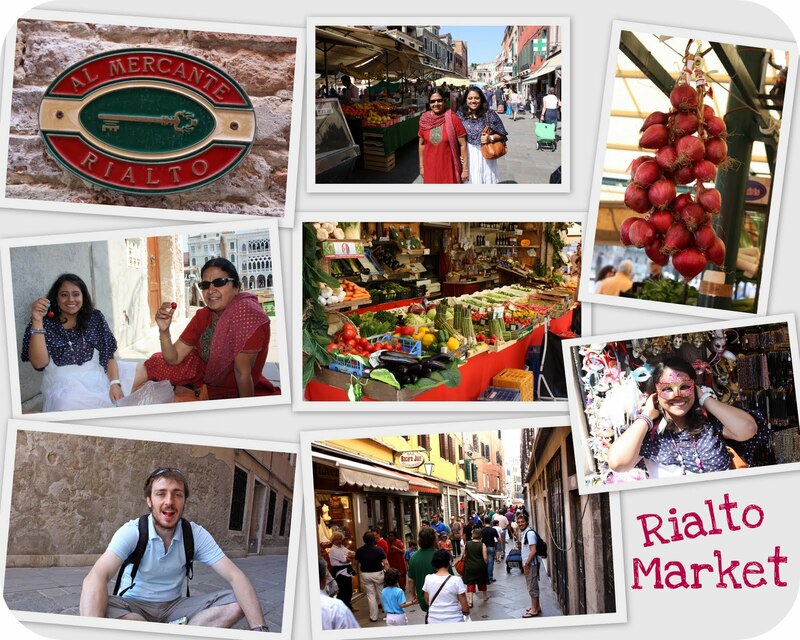 We also checked out Rialto Market and tried some yummy cherries! Finally, Venice by night! Really phenomenal as you can see from the photos! Next up, our excursions to the islands of Murano, Burano, Lido and Torcello!